A Board of Directors of a company is supposed to represent the shareholders prevent the company from using deceptive accounting tactics that mislead investors. Any board member of any company knows that the goal of a company’s board is to serve shareholders. In fact we have long stories in the past many boards do not serve shareholders. Board members may be tempted to approve corporate policies that serve the company’s executives or themselves rather than the company’s shareholders. Consequently, they may be willing to ignore deceptive accounting practices. The composition and compensation structure of the board determine the board’s culture and influence the degree to which board members are willing to serve shareholders and prevent deceptive accounting. 1. Inside Versus Independent Board Members – A board’s culture is influenced by the self-interest of its members. Some boards are composed mostly of insiders who work for the company. A board is more likely to focus on serving the company’s shareholders and ensuring proper accounting practices if there are independent board members serving on the board. Ideally, an independent board member, rather than the chief executive officer of the company, should serve as chairman of the board. In addition, some boards encourage the independent members to meet alone, without the CEO or other inside members, after each board meeting, to ensure that any opinions by these members are communicated. Furthermore, a board should encourage its independent members to periodically meet with some executives or managers who are not on the board in order to obtain more insight into the company’s business. These efforts allow independent members to develop their own opinions about the company without being completely influenced by the other board members. 2. Conflicts Of Interest Due To Board Member Compensation – There are different degrees of board “independence.” Even if a board is stacked with independent members, it may still allow or even encourage deceptive accounting. Some board members are compensated in a manner that aligns their compensation with the short-term performance of the company. If a company uses fictitious accounting that inflates earnings and therefore inflates the company’s value in the short term, board members may benefit directly and allow such actions. While many board members may not have taken a board position with the intention of deceiving shareholders, they may lack the initiative to force a change in management behavior. 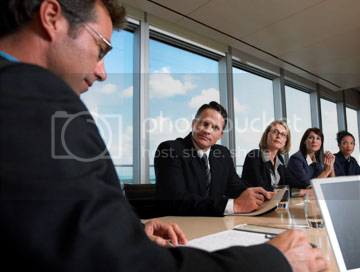 A board member who is at odds with management will sometimes also be at odds with the rest of the board members, who have chosen to go along with management in order to keep their board seats. A board is likely to be more effective at serving shareholders if all its members truly have the same goal of serving shareholders. The easiest way to ensure that all board members have a unified goal is to ensure that their compensation from the company is tied to the long-term value of the company’s stock. 3. Limited Time And Abilities Of Independent Members – Not all independent board members are effective monitors of a company’s financial reporting. Some individuals serve on multiple boards and do not have the time to closely monitor each company. Other board members do not have the ability to properly monitor the company’s accounting, either because their experience is in another industry or because they do not have adequate accounting skills. It might seem that this deficiency could be solved by ensuring that all board members have accounting backgrounds. However, a basic understanding of accounting will not necessarily enable a board member to detect deceptive accounting practices. Board members may need actual experience in accounting work to recognize many types of deceptive accounting practices. Yet, if the main focus of all board members were accounting, the board would forgo experience in other specializations, such as marketing, planning, and human resource management. The board needs to understand accounting well enough to interpret the financial statements, but it should not forgo other specializations in order to ensure an adequate level of accounting experience. A company’s managers are commonly evaluated on how they perform relative to competitors on various earnings performance measures. One common measure is the return on assets, which measures annual earnings as a percentage of the company’s assets. Since this ratio takes into account the size of the company’s assets, it can be used to compare the company’s earnings performance to that of other companies in the industry. An alternative proxy is the return on equity, which measures earnings as a percentage of the company’s equity. Suppose you are the manager of a company, and you have a choice to report your income in two ways. Your raise and the raises of all your subordinates are dependent on your company’s return on equity (ROE) relative to that of your competitors. An accounting method that most directly reflects your company’s operations results in an ROE of 16 percent. Alternatively, you could use a “generous” accounting method that will defer some of your expenses into next year, and therefore will result in an ROE of 22 percent. You prefer to use the more accurate accounting method. However, your main competitors use the more generous accounting method to determine their earnings, and their average ROE is 20 percent. If you use the precise method, you and the other employees of your company will be penalized, because your competitors will have achieved a higher ROE by applying a more generous method to derive their own earnings levels. Which accounting method would you use? Even the most ethical executives and managers would select the generous accounting method. If you and your employees are to be rated fairly, you need to use the same method as your competitors. The implications go beyond employee compensation. Earnings measurements relative to competitors are commonly used by rating agencies, lenders, and analysts. No company wants to be penalized simply because it provided a more precise measurement of its earnings. One possible solution to this dilemma is for the company’s board of directors to identify other performance measures that are less susceptible to manipulation. However, this is easier said than done. Key measures of a company’s operations include revenue, expenses, and earnings, and all are subject to manipulation. 1. Short-Term Focus – Even if compensation plans effectively link compensation to a company’s stock price, they may not necessarily encourage executives to focus on the long term if they can successfully inflate the stock price for a short period. They can sell their holdings of the company’s shares at that time. This short-term manipulation is a disservice to investors who are investing in the company over a longer time period. Consequently, the compensation plans may be a key reason behind the more blatant accounting abuses in the past years. While executives do not have direct control over the stock’s price, they do have control over their communication to investors about the company’s performance. They provide financial information to investors, which can have a strong influence on the demand for shares, the supply of shares for sale, and therefore the price of the stock. The value of shares is positively related to earnings, so overstated earnings may result in an overvalued stock. If executives are aware that earnings are overstated, they can exercise their options and sell their shares. They have an incentive to exaggerate the earnings so that the stock price is temporarily increased and they can sell their stock holdings at a high price. Once the public recognizes that the earnings were exaggerated, the stock price is likely to decline. Yet, by then, the executives have cashed out. 2. Weak Link between Options and Company Performance – Stock options may not be properly aligned with the company’s performance. Again consider the company that offers its executives options to buy its shares at $40. Assume that over the next year, the company’s stock price rises to $48, simply because of strong market conditions. An executive who has stock options to purchase 1 million shares will earn a gain of $8 million, even if the stock prices of all competing companies increased by a higher percentage over the year. That is, the executives are rewarded because of favorable market conditions, even though their company performed poorly in comparison to its competitors. Thus, the relationship between the company’s performance and executive pay is questionable in this example. Conversely, a company may perform well relative to its competitors, but its stock price could decline as a result of conditions over which the company has no control. In this case, the executives may deserve more compensation than they receive. The traditional stock option structure does not account for general market forces, and therefore it has limited ability to align the compensation and the actual performance of a company’s executives. 3. Arbitrary Elimination of the Pay-Performance Alignment – If a company’s stock price declines, the value of the options that were granted declines, and the potential compensation for executives declines. However, some companies grant new options when old options become less valuable. This strategy eliminates the alignment between stock performance and pay when the companies perform poorly, as there is no penalty. Executive Compensation Standards were substantially modified in the 1990s to eliminate some obvious conflicts between the interests of executives and the interests of the company’s owners. The new forms of executive compensation resolved some issues, but created others. The board of directors can implement compensation formulas that not only tie compensation to value, but discourage executives and managers from engaging in deceptive accounting or other unethical practices that will adversely affect value in the long run. When the employees of a company are not shareholders in the company, they serve as agents who are responsible for serving the interests of the owners. A major concern of a company’s owners is that the employees will make self-serving decisions instead of serving the shareholders. If employees make decisions that serve themselves instead of the owners, the company’s revenue may be lower than expected. Alternatively, the company may incur higher expenses if the employees use large expense accounts to fund their own personal lifestyles, or if the employees organize expensive conferences sponsored by the company every quarter that have little impact on sales. There are many different ways of tying employee compensation to the company’s value. Companies with publicly traded stock often provide stock to their employees as part of their compensation. In some cases, stock options are provided, which allow employees to purchase the company’s stock at a specific price. Most executives of publicly traded companies have stock options. Stock options have been used extensively to make sure that executives are making decisions that increase the company’s value. Consider an executive who is granted stock options allowing her to purchase 1 million shares of the company’s stock from the company at $40 per share. If the stock is presently worth $43 per share, she could exercise the options by purchasing shares for $40, and then could sell the shares in the stock market for $43. She would have an immediate gain of $3 per share, or a total of $3,000,000 ($31,000,000 shares). If the stock price rises to $47, she could earn a gain of $7 per share, or $7,000,000, by exercising her option. Since her cost of purchasing the shares is fixed, her gain is directly tied to the price of the shares. If the stock price falls below $40, she would not exercise the option, because the cost would exceed the benefits. The structure of the stock options give her an incentive to make decisions that would enhance the company’s value, because her stock options will be worth more if the company’s value increases. Set the Compensation Based on Relative Performance – Stock options should be structured to compensate executives only when the company’s performance is strong relative to that of competitors. The exercise price of the option could be revised each year to reflect the performance of competitors’ stock. For example, if the company’s competitors experienced a 10 percent increase in stock price on average, the exercise price on the company’s options could be increased by 10 percent. In this way, executives holding the options benefit only if the company’s stock price increased by more than the 10 percent increase in the exercise price. Limit the Amount of Options Exercised Per Period – Some stock options are structured so that the executives can exercise only a limited amount of their options in any period. This reduces the incentive for executives to inflate earnings in one particular period, because they can exercise only a limited number of options in any period. Stock options would be more effective if the gain were based on an average of the stock price over a particular time period. With this structure, there would be no incentive for executives to manipulate stock price for the purpose of timing the sale of their holdings of the company’s stock. Restricted Stock – An alternative solution is to allocate restricted stock to executives and other employees. Normally, the stock is provided at no cost to employees. It is referred to as “restricted” because it is not usable until the employees satisfy specific vesting requirements, such as 5 years of service at the company. The restricted stock for an executive may be allocated with staggered requirements, such as 10,000 shares provided after 3 years, 20,000 shares provided after 5 years, and 30,000 shares provided after 7 years. Beyond the potential to align managerial and shareholders’ goals (if structured properly), the use of options enables companies to increase their reported earnings. Companies are allowed to ignore option compensation when they report their expenses on the income statement. A company’s board of directors can make the company’s financial statements more transparent by insisting that the option expenses be reported in the income statement. Company B reports higher earnings because its stock options do not have to be reported as an expense when reporting income. If investors use reported earnings as the basis for valuing stock, they will value Company B higher than Company A. Therefore, the use of stock options does not adversely affect Company B’s tax liability, while it enhances the company’s reported earnings. The stock option expense is typically reported in a footnote to the income statement. Some companies argue that options should not be disclosed because this is not really an expense. That is, no cash is paid out, so there is no expense to the company. Yet the granting of stock options does result in a cost to the company. When a company sells stock to its executives at $30 that could have been sold for $50 per share in the market, it receives $20 per share less than it would have received had it issued that stock to investors. If stock options really were costless, companies would grant them to all employees, and even to all shareholders and charities. Companies most likely recognize that there is a cost to granting options but are concerned about how their reported earnings would be affected by including this expense on the income statement. There are different possible ways in which companies might expense the stock options. When other things are held constant, a rise in the stock price will result in higher expenses related to options, and will lower earnings. Some companies would prefer that the option expense not be accounted for on the income statement. Some estimates suggest that the earnings of the S&P 500 companies would be 25 to 30 percent lower if the stock option expense were accounted for in the income statement. To the extent that investors already recognize the expense of stock options, the valuation should not be affected by how options are reported on financial statements. In other words, the price/earnings ratios of companies would be increased as the reported earnings were reduced by this adjustment, but the price would stay the same. Yet, the fact that some companies resist the proposal seems to suggest that they fear that investors do not recognize this expense. Consequently, a shift in this expense from a footnote to the income statement could cause a decline in reported earnings that is not completely anticipated by some investors. If the lower earnings triggered a sell-off of shares, it could lead to a lower stock price for companies. A lower stock price would possibly result in lower compensation for the executives who are granted stock options. One reason that firms use deceptive accounting is to hide managerial inefficiencies. That is, the accounting is a means of making investors believe that the firm’s financial condition is stronger than it is. Many management inefficiencies take the form of excessive spending. When firms generate more cash than they need to cover expenses, the excess is sometimes referred to as free cash flow. A disadvantage to a firm of having free cash flow is that the firm’s executives and managers may use the cash to benefit themselves rather than the shareholders. Under these conditions, they may be tempted to disguise their accounting to satisfy existing or potential shareholders. 1. Initiate Or Increase Dividends – Since dividends represent cash outflows, they reduce the net cash flows that are available to the firm’s managers. Thus, they can effectively discipline the managers’ spending and may reduce waste. Since firms that pay dividends may have less excess cash, they may be less likely to waste funds. Conversely, firms that pay zero dividends may have more flexibility to use cash in ways that serve the managers more than the shareholders. Dividends can also limit deceptive accounting by providing more information about the firm’s cash flow situation. A firm would plan to provide dividends of $.20 per share per quarter only if it expects to have sufficient cash to make the quarterly dividend payment. Thus, the dividend payment may indicate the minimum amount of cash that the firm should generate in each quarter after paying normal operating expenses. However, investors should not presume that a firm’s accounting is transparent just because the firm pays dividends. Many firms that pay dividends still engage in acquisitions. Even if they have less cash, they may finance the acquisition by borrowing funds or by using their stock as a means of purchasing a target. 2. Use Debt Financing – Just as dividends can reduce free cash flow and reduce waste, so can debt. A firm that has periodic debt payments must be disciplined and use its cash properly so that it can make its debt payments. Debt is even more restrictive than dividends, because the creditors can force a firm into bankruptcy if it does not meet its debt obligations. A firm may signal its future cash flows when it decides to use debt financing. It would consider borrowing funds only if it expects to generate sufficient cash flows to cover its debt payments. Thus, its financial situation may be more transparent if it uses debt. However, investors should not presume that a firm’s accounting is transparent just because the firm has a substantial amount of debt financing. In fact, firms that use debt financing may be enticed to inflate their reported revenue or deflate their reported expenses so that they can more easily qualify for credit. While investors may feel more secure knowing that a firm is being periodically monitored by its creditors, there have been many cases in which creditors were not able to detect a firm’s financial problems before the problems were made public. 3. Allow The Firm To Become A Target – The market for corporate control implies that weak firms are vulnerable to a possible takeover by stronger firms. A board may be able to prevent deceptive accounting and other unethical practices by allowing the firm to become a target that another firm can acquire. Such a strategy may force the firm’s executives to make decisions that serve its shareholders. If the firm’s executives make poor decisions, another firm (called a raider) may be able to buy the firm cheap, get rid of the ineffective executives, and improve the firm. The raider benefits because it should be able to increase the value of this business by buying it cheap and improving it over time. Thus, a firm’s executives are supposed to be concerned that if they do not satisfy shareholders, they will be replaced. If a firm’s executives do not manage a firm properly and attempt faulty accounting gimmicks, they will be subject to the market for corporate control. If the market for corporate control works, how do we explain the bankruptcies of Enron, Global Crossing, and many other firms? Why didn’t a raider acquire them and turn them around? The board may be unwilling to allow a firm to become a target. Board members might lose their positions if the firm is acquired. Consider the raider’s intentions: (1) Buy a weak firm at a low price, and (2) replace executives of that firm who are not doing their jobs. If the firm used deceptive accounting to inflate its earnings, it also has an inflated stock price. This type of firm is not appealing to raiders because it is valued too high by the market. Raiders are unwilling to acquire a weak firm at an unusually high price. Removing managers can be very expensive. These executives may have contracts that provide them with substantial compensation if they are fired. The weak firm may have some hidden liabilities that are not so obvious. In the case of Enron, raiders could have been liable for various claims made by Enron employees or business partners that Enron cheated them. Given the limitations described here, deceptive accounting and unethical behavior by a firm’s executives are not necessarily prevented by the market for corporate control. 4. Improve Monitoring – Executives and other managers commonly engage in activities that are not in the best interests of their shareholders. In some cases, the boards of directors approve these activities even though they are not in the best interests of shareholders. In other cases, the directors are not informed about the activities, either because they chose not to be or because they did not monitor the firm’s executives and managers as closely as is necessary. There are many other examples in which firms’ use of cash is not as blatantly unethical, but is just as costly to shareholders. One of the most common examples is when executives and other managers pursue growth through acquisitions. Some acquisition efforts are rational because they combine entities that can help each other (synergy). However, many acquisitions lack rational motivation or are not properly executed. There is substantial evidence that acquisitions commonly reduce the value of the acquiring firm (although there are some exceptions). Acquisitions can backfire when the acquiring firm’s business is unrelated to that of the target, when the merging of the two businesses causes conflict and bad morale, or when the acquiring firm pays an excessive premium for the target. Therefore, a board of directors would need oversees a firm’s decision to engage in acquisitions. Thus, its approval of a bad acquisition suggests either that it is unable to recognize bad acquisitions or that it simply signs off on whatever executives want to pursue, without doing its own analysis. The complete effect of an acquisition cannot be assessed until several years later, and even then it is difficult to isolate its effect on the firm’s value. By the time it is recognized that the acquisition was a mistake, the firm is involved in other acquisitions or projects, and there is no penalty for the managers who were involved in decisions that were made years earlier. The only penalty is imposed on the shareholders in the form of an abnormally low stock price. It is difficult to determine whether the poor use of cash by some executives and other managers is the result of unethical behavior or incompetence. In many cases, the desire to grow probably overshadows concerns about potential integration or morale problems associated with merging two businesses. There are no laws that prevent poorly motivated acquisitions or other managerial decisions regarding the use of cash. Thus, investors will continue to be subjected to poor managerial decisions that are intended to benefit the managers rather than the investors who own the firm’s stock. A board of directors cannot be held responsible for preventing all bad acquisitions. But it can at least determine whether a proper assessment of the potential benefits and costs of an acquisition has been conducted. It should also consider the potential effects on shareholders before approving the firm’s proposed acquisitions. Companies that have their stock listed on the American Stock Exchange, Nasdaq, or the New York Stock Exchange are required to have an independent audit committee that monitors the company’s auditors. The committee usually attempts to ensure that the audits are conducted properly, without any conflicts of interest. Consequently, if the audit committee members are truly serving as representatives of the shareholders, they should encourage the auditors to ensure that the financial statements are accurate. The focus of the board’s audit committee is likely to be on the auditors. Thus, the financial statements of the company’s accountants are audited by the auditors, who are monitored by the board’s audit committee. The audit committee should consider direct communication with the company’s accountants to ensure that the accounting clearly represents the financial condition and operations of the company.